We’re one of 20 Oxfam organisations working together in over 90 countries to bring an end to poverty. Oxfam has condemned yesterday’s horrific attacks on the fish market and hospital in the key port of Hodeidah in Yemen, which reports say killed at least 52 people and injured 101. Oxfam is calling on all parties to the conflict to respect international law and protect civilians from harm, and is urging the UN Security Council to also condemn the attacks. The attack came as the UN Security Council met to discuss the situation in Yemen, during which the UN Special Envoy announced that parties would meet in Geneva in September. Jim Clarken, Chief Executive of Oxfam Ireland, said: “The UN Security Council needs to take firmer action, starting by urgently condemning this and all attacks, calling for an immediate ceasefire, and for all parties to ensure the free flow of vital goods through the port to where they are needed. The Irish and UK governments can also play their part by continuing to press for international action to end the conflict. “This summit is a welcome step towards revitalising peace efforts. In the meantime, the violence, including the escalation in the city and governorate of Hodeidah, must be addressed. “All parties to the conflict must protect civilians from the violence and end attacks like this horrific incident. Yemen is on the brink of starvation, the cholera season is under way and the war continues unabated. The international community cannot continue to turn a blind eye. Oxfam has been in Yemen since 1983 and is stepping up its work in Yemen to tackle the humanitarian crisis. 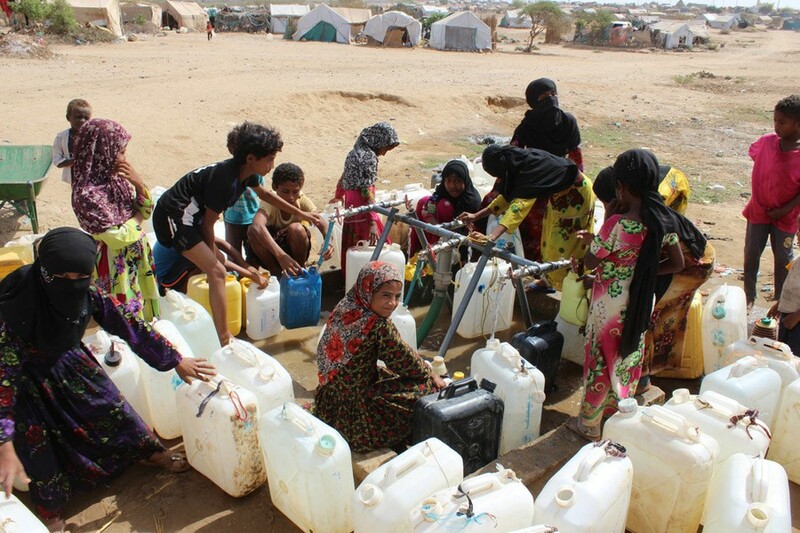 Since July 2015 Oxfam has reached more than 3 million people in nine governorates of Yemen with water and sanitation services, cash assistance and food vouchers. Oxfam is helping 10,000 people who have fled north of Hodeidah but helping those outside the city is also proving difficult due to the ongoing conflict. The port of Hodeidah is key to providing the bulk of all the food imported into the country and the majority of its medicines. If this vital life line is cut for a significant amount of time then the lives of more than 8 million people who are already on the verge of starvation will be further put in jeopardy. Yemen is on the brink of famine after two years of devastating conflict. So far thousands of people have been killed and over 3 million forced to flee their homes. More than half of the country is without enough to eat. We are delivering emergency aid but we urgently need your help to do more. We drive west through steep rocky terrain, dotted with ancient mountain-top fortresses studded with tall circular towers of rough-hewn stone. 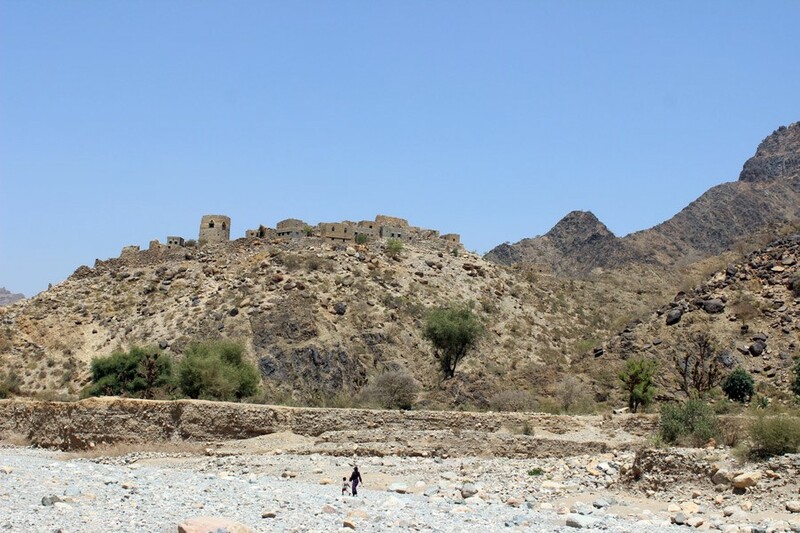 Rural Yemen is serene, isolated and medieval. We are heading from Oxfam’s emergency humanitarian office in Khamer, in the northern tribal heartland of Amran governorate, to Othman village on its western edge. 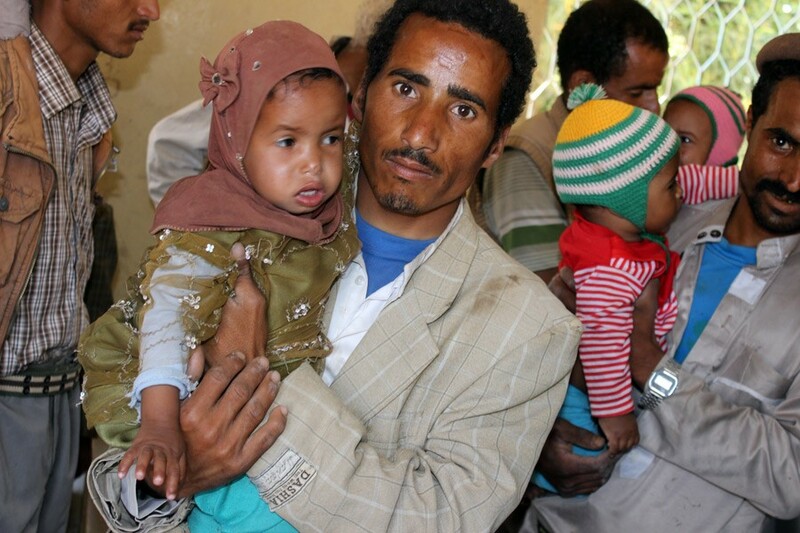 Othman’s 200 families are battling hunger, like many others across Yemen. The drive is nerve-wracking. Our driver Abdullah says pointedly he has been driving for 10 years around these hairpin turns and vertical cliff-face drops. I think he’s noticed how scared I am. We wave to some men and women working the tiny cultivated terraces, and to curious child shepherds moving goats and sheep through the sun-baked mountains. We lose mobile phone reception and modern-day communication. After one and a half hours of a perilous ride over 27 kilometres, we descend into a valley dotted with fields of sorghum (a type of cereal), and to a hamlet of scattered stone dwellings in the cliffs high above the valley floor. 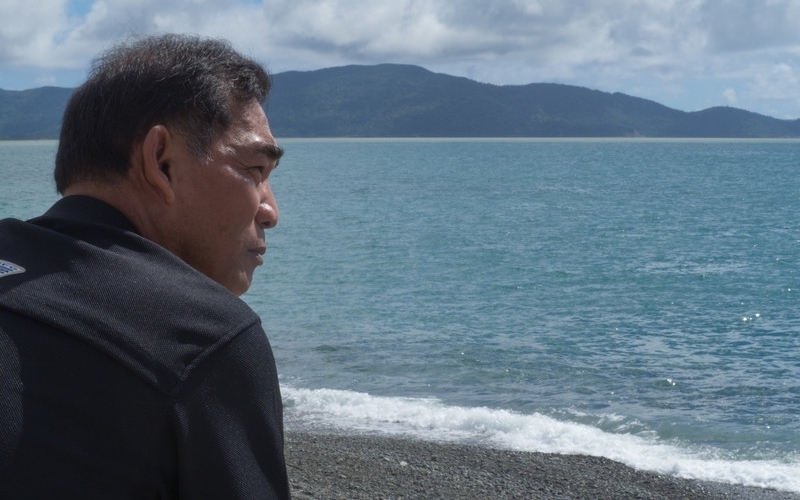 Othman’s people eke out life in stricken conditions. 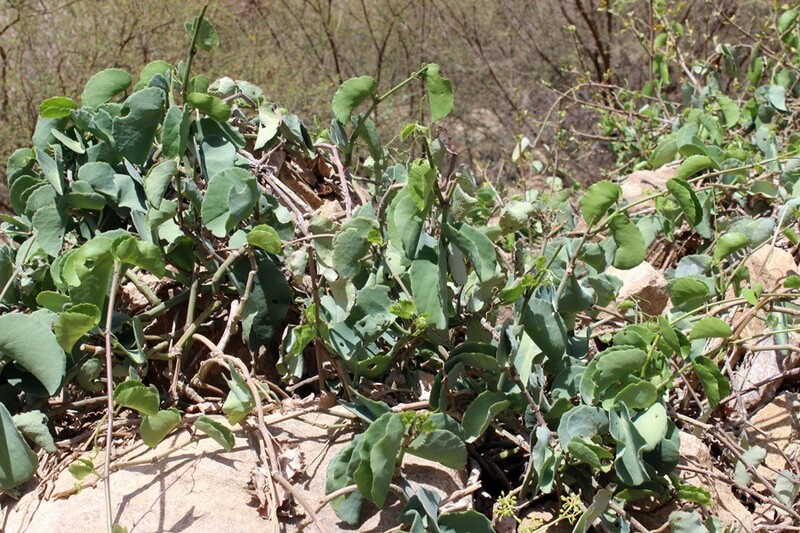 Food is mostly home-made bread and a boiled wild plant known locally as Cissus or Hallas. We’re here to measure how Oxfam’s cash assistance project of €81/£76 per month for each extremely poor family has helped put food on their tables and avert starvation. There were 80 severely malnourished children in Othman. Oxfam set up cash assistance projects around the Khamer district, with other agencies, to buttress their battle against starvation. The children got health treatment from our partners, while Oxfam gave cash to the most desperate of the families here. We also ran a programme to raise their awareness about malnutrition and good hygiene. At Othman school, a frail old man whirls black prayer beads through his fingers, leaning against the wall of a classroom. The school rooms are now only used for community meetings. There are no teachers in Othman. The village announcer shouts out over the loudspeaker: “Oxfam is here to monitor the conditions of the malnourished children.” Curious folk join us. Parents have dressed their children, who before had been on the brink of death, in their very best clothes. They seem well on the mend. Over the four-month duration of our cash assistance project in Othman we’ve reduced malnutrition by 62%. Though pale, these children are no longer on the verge of starvation. Nine-month-old Mohamed Amin, the youngest of five siblings and still tiny, is cradled by his father. He has certainly been saved from an early unnecessary death, by a small assistance. 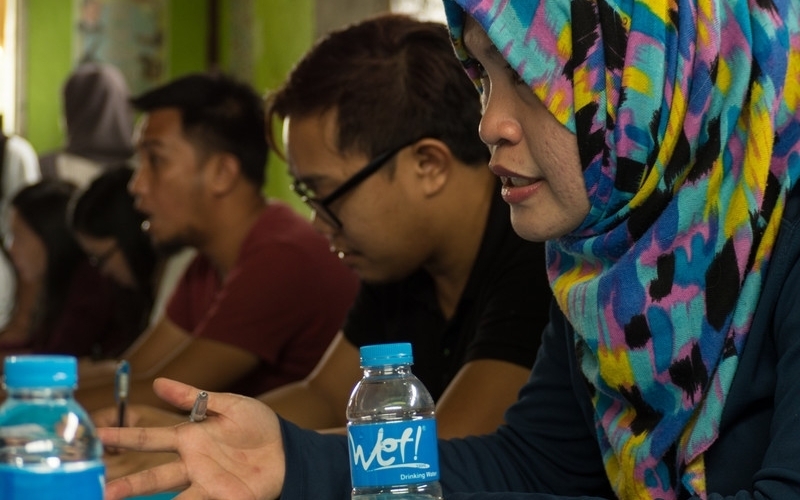 Crammed into a classroom, we ask about Oxfam’s work. How many times do you eat a day? How is the baby’s condition? What do you do for a living? And so on. Children smirk at my Arabic as their parents take turn in answering. Others nod along. “Your assistance saves our lives,” says Rabee Qassem, holding his young daughter. Many of these villagers used to work on small farm plots along the valley but their incomes were so meagre they could no longer afford their essential needs when the price of basic commodities skyrocketed due to the conflict and the de-facto blockade of Yemen. Since the war exploded open in March 2015, more than 10,000 Yemenis have been killed and 17 million people – 60 percent of the population – do not now have enough to eat. More than 7 million of them are a step away from famine. As they were here in Othman. I ask the mother of 10-month-old Marwan about her hopes. She takes a deep breath, a moment of silence as she gathers her thoughts, and tears well up. “Peace! My only hope is peace,” she says. Others nod. Their banter dies down to silence. “But why? Our situation is still miserable,” Mohamed Amin’s father says. “Thank you. God will help,” says the old man with the beads. It is a wretched time. Our programme was funded for four-months and – although this was made clear at the start – the people of Othman are dismayed now and afraid. It’s my job to start winding-down this part of our work now that we only have a month left of funding toward it. We hoped to maintain it. We tried. It saved their lives. But the cruel truth is that earlier this year, the big aid donors made the tough decision to triage their money only to governorates that were at “level 4” emergency status – that is, one level below famine. Although still itself in an emergency situation as a village, Othman is part of a governorate – Amran – that is classified overall as “level 3”. Therefore, there are other governorates which are, overall, in worse straits. Othman no longer makes the cut. This is exactly what we mean when we say Yemen is an “overwhelming” crisis. Our unconditional cash transfer projects are immediate life-savers; last year Oxfam ran cash transfer projects worth nearly €3.3 million/£3 million, to more than 7,100 families in Yemen (the Othman project cost about €27k/£25k, by way of example). But these are typically short-term and irregular projects, and with the constant funding pressure we’re forced to keep tightening our criteria of people we can help to only the most desperate. Over the last two years, Oxfam has provided humanitarian assistance to more than 130,000 people in the most dire humanitarian needs in Khamer and in three other neighbouring districts. We enable vulnerable communities to access water through the rehabilitation of rural and urban water networks. We’ve invested in rain-water harvesting, repaired water networks, and provided fuel, sanitation services, solid waste management and hygiene promotion. We’ve given out winter clothes to families living in open displacement camps, helping their children to survive freezing weather. With heavy hearts, we leave Othman and its children and their parents. Oxfam is still running a cholera response project there, including distributing hygiene kits, but our cash assistance work in Othman is done – at least for now – decided for us, because there are “worse” priorities elsewhere. I hope Othman’s people survive. I hope they can eventually thrive. I hope that donors can find more funding and expand the humanitarian work to the scale it needs to be, including back into the pockets of desperation like Othman. I hope Yemen can achieve peace.